The following is a summary of the method we use for preparation of matrix and documenting association and articulation of skeletons in fossiliferous freshwater limestones (from Bloch and Boyer, 2001). 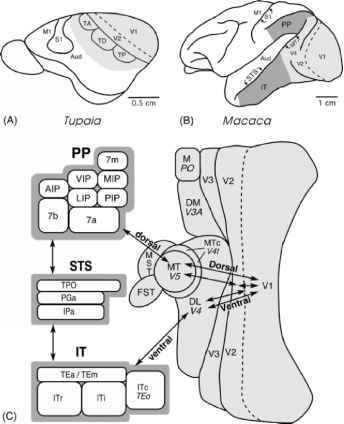 Limestones are usually chosen for study based upon surficial visibility of fossil vertebrates. Once a limestone has been selected, exposed bone is coated with polyvinylacetate (PVA) to protect the bone against etching and breaking. Limestones are dissolved with 7% formic acid buffered with calcium phosphate tribasic. Each acid reduction run lasts from 1 to 3 h, and is followed by a rinse period in running water of 2-6 h.
Documentation of skeletal association is accomplished by careful mapping of bone distributions and, in some cases, through preservation of articulation. When bones are articulated, we try to preserve the articulation by gluing adjacent surfaces together as the bones are exposed. Using this method for preserving articulations for as long as possible during the etching process reveals patterns in the distributions of skeletons that would have otherwise been lost. In order to further illustrate this process, we provide an example of this type of documentation in the following section.